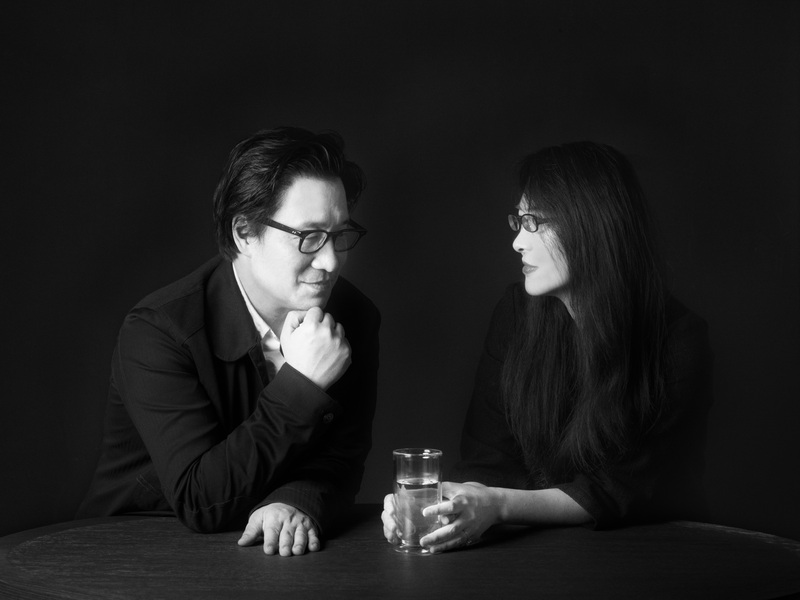 Mr. Lyndon Neri and Ms. Rossana Hu (Mainland China) are founding partners of Neri&Hu Design and Research Office, a multi-disciplinary international architectural design practice based in Shanghai, China. Their design philosophy is founded on a passion for showing that Chinese creativity exists, which has been built upon to deliver acclaimed projects across the globe. Spanning the fields of architecture, interiors, master planning, product design and installations as well as branding and graphics, they are one of most recognisable design practitioners working from Mainland China today. Looking forward, they want to work on socially engaged projects that will allow for greater engagement with general communities. CHAN started his career in the advertising industry as design apprentice in 1970, and attended a 10-month design course in evening school after graduating from secondary school, before starting his own company in 1980. 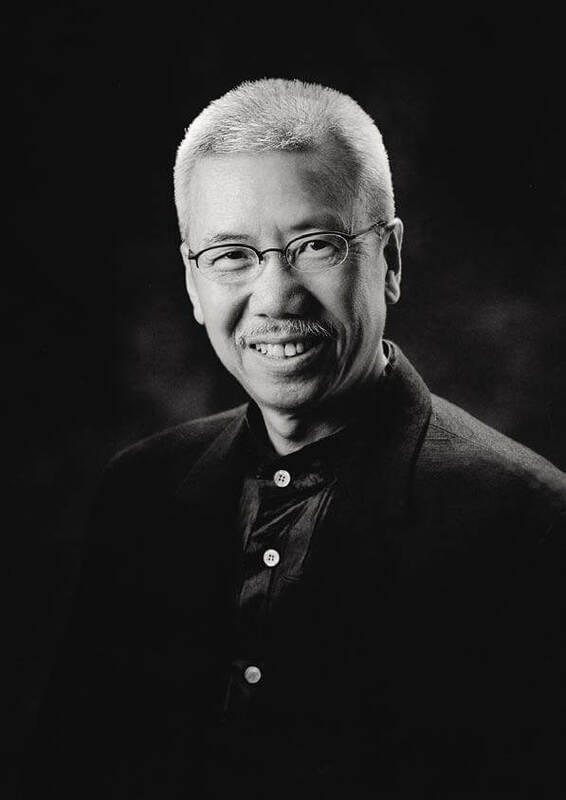 As a designer, brand consultant and artist, CHAN and his company have won more than 600 local and international awards during his 47 years in advertising and design. The ‘Oriental Passion Western Harmony’ design philosophy he initiated has been well-recognised by the international design scene, and has had a major influence on younger generations of designers. William Chang is an artist in every sense of the word. 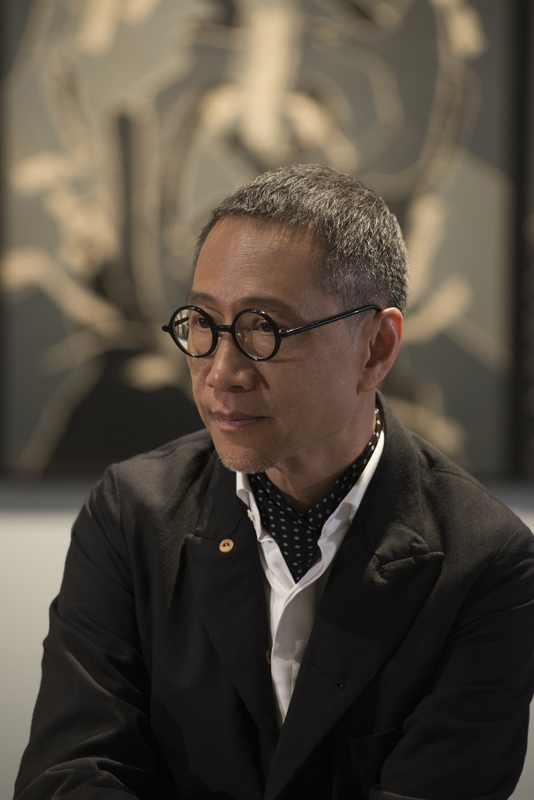 Like many of his counterparts growing up in the Crown colony who later were known as the Hong Kong New Wave, instead of pursuing a predictable and gainful career, he pursued a creative art education and threw himself into an industry in which everyone was given a chance to do something truly amazing and be recognised. 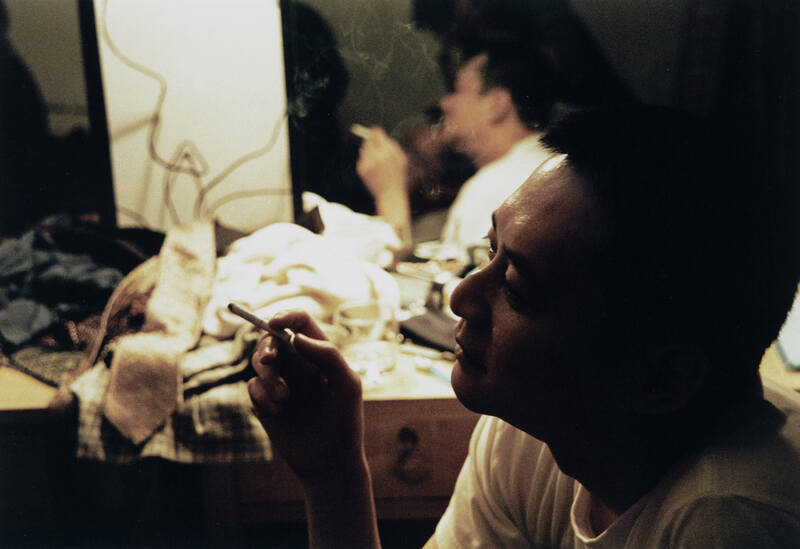 Chang’s art direction and film editing skills allowed his works–and Hong Kong cinema–to take off internationally and reach new aesthetic heights. Having been trained at a film school in Vancouver, Chang began working in the late 1970s during Hong Kong’s popular culture boom. In the 1981, Chang was appointed as the art director of the thriller “Love Massacre”. Later, he collaborated unfailingly with director Wong Kar Wai, winning him local and international accolades; to name a few, “Chungking Express”(1994), “Happy Together”(1997), “In the Mood for Love” (2000), “2046” (2004), “My Blueberry Nights”(2007) and “The Grandmaster” (2013) etc. Chang has a long list of achievements and recognitions, including numerous Hong Kong Film Awards, Golden Horses from Taiwan, a Golden Rooster from Mainland China, a Cannes award, and “The Grandmaster” earned him an Oscar nomination. His self-evident passion for fine arts, films, and costumes needs no recognition from the profession, but he still welcomes and appreciates them as they help promote his Hong Kong-based art to a wider audience around the world. Besides films, William Chang has also engaged in other side design projects that have made a difference in their respective fields. From designing the interior of a private residence to airline uniforms, and from editing feature films to television advertisements, he has always been determined to apply his skills in a brand new context to defamiliarise himself and push the envelope of design. Encompassing the fields of architecture, sculpture, interior, furniture and object designs, Chi Wing Lo’s prolific output has long been recognised, in and beyond the eminent circle of contemporary Italian design, by his evocativeness in thought, gracefulness in form and meticulousness in every detail. 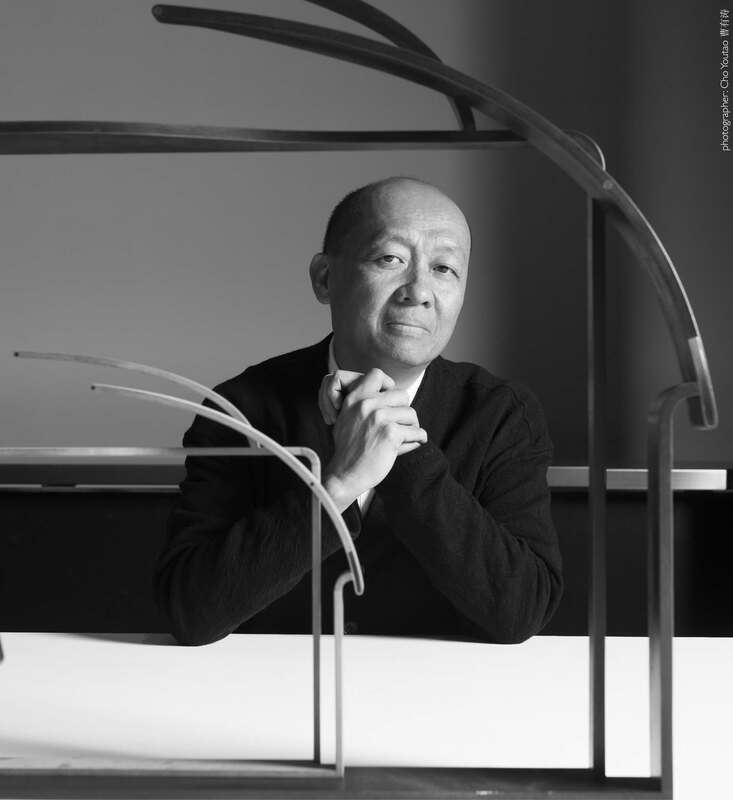 Founder of DIMENSIONE CHI WING LO®, a brand of furniture designed and made in Italy under his close direction. Lo has been actively pursuing design in Italy for more than two decades. His aspiration for timelessness has brought his designs to international attention and many of his earlier works continue to be much sought after today. In 2007, Lo was invited by the HKDC to contribute a design to commemorate the tenth anniversary of Hong Kong‘s handover to China. He was the art director for Giorgetti from 2004-2006 and was the chairman of the jury for the St. Petersburg Design Biennale in 2009. Same year, his tower house was nominated for the Mies van der Rohe Prize in Architecture. At Foshan in 2010, he organised and chaired an international design conference on a theme addressing the need of original design in China. This year, he also founded 1ness, uniting wisdom and sensibility of past and present by creating objects that are lasting, simple and essential. Since 2012, Lo has also presented his sculptures in solo exhibitions at contemporary art galleries in Italy and the South East Asia. His sculptures are favored by prominent international art collectors. Raised in Hong Kong, Lo received his Master Degree in Architecture from Harvard University with the best thesis prize in 1988. He had taught at the Syracuse University, NY, and had been a member of the Akademie Schloss Solitude in Stuttgart. His designs for exclusive projects are in Milan, Athens, London, Istanbul, Yalta, Dubai, Shanghai Beijing and Shenzhen. Arnold Chan grew up in Hong Kong but completed the final years of his secondary education in the UK before enrolling at the Architectural Association in London in 1979 to study architecture. Having obtained a Bachelor of Architecture (BA. Hons) in 1982, he continued his training there, graduating with a Diploma of Architecture (Dipl. Arch) in 1984. He subsequently studied Intermediate Lighting Design at South Bank Polytechnic in London, receiving a Diploma in 1985. 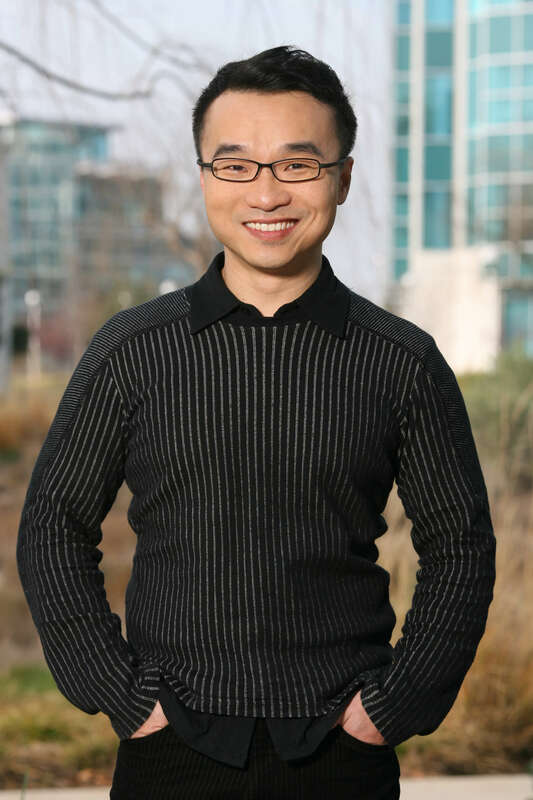 In 1986, Chan founded Isometrix Lighting + Design Ltd as an international architectural lighting consultancy. Its portfolio includes all sectors of interior and exterior lighting — lifestyle, hospitality, residential, retail, architectural and cultural. This work has taken him to all corners of the globe, and in collaboration with international client and design teams. The roster of highly acclaimed architects and designers he has worked with include Christian Liaigre, David Chipperfield, David Collins, Herzog & de Meuron, Jean Nouvel, John Pawson, Kengo Kuma, Norman Foster, Richard Rogers, Shigeru Ban, Thomas Heatherwick and Zaha Hadid. One of his first high-profile lighting commissions in the mid-80s was for exclusive fashion retailer Joseph, whose Brompton Road store in London was designed by eminent architect Eva Jiricna. In Asia during the mid-90s, Isometrix became a household name on account of working with Philippe Starck to illuminate the renowned Felix Restaurant at The Peninsula Hong Kong. Recent projects include Tazmania Ballroom and The Upper House in Hong Kong, London Edition and Sketch in London, and AMQ in Tokyo. Isometrix operates from two design studios, in London and Hong Kong, currently employing over 35 full-time people with a diverse range of skill sets. This resource ranges from architecture and design trained expertise to product and lighting designers with in-depth technical knowledge of luminaires, and a mock-up workshop with sophisticated prototype testing facilities. Isometrix was a frequent winner in The Lighting Design Awards, the worlds’ biggest and most prestigious architectural lighting competition, for various projects including Roca London Gallery, Museum of Islamic Art in Doha, and Wakiya Restaurant in New York. Born in Heilongjiang in 1973, Yao studied Graphic Design at Qiqihar University, graduating in 1996. He later gained an EMBA from China Europe International Business School. Yao joined Lenovo in 1996, the company’s first industrial design professional. Lenovo became the first IT company in China to introduce the concept of industrial design. Yao led that first industrial design team to create Tian Xi, a design which features its quick web access function. The product popularized the usage of the Internet in China, assisting Lenovo to gain the largest market share in the Asia-Pacific market at the time, and laying the foundation for Lenovo’ s consumer and commercial product development capabilities. Over the following seventeen years, Yao has been a leader in China’s IT field, introducing brand-new design concepts. To meet customer needs and enhance Lenovo’ s brand value, he established an organizational structure characterized by multi-discipline, multi-culture, and multi-region coordination – the structure makes the most of design innovation ability in terms of materials, mechanics, and techniques. Yao has fostered the global design ability of his team, and its integration. Under Yao’s leadership, Lenovo became the first Chinese company to win four major international design awards simultaneously. “Design, sometimes, is like a montage that puts discrete, unrelated things together,” Yao Yingjia says. In 1996, during a rainy weekend, graphic designer Yao Yingjia met a turning point in his life. It was the night before he was to report to work with a leading advertising agency, and a weekend when Lenovo held a major event in Beijing. It was as if a mystical force had been at play. The commercial on Rodin’s Thinker led Yao to the front rows facing the stage at the Lenovo event. From that day on, the destinies of Yao and the company became one and the same: blending culture and high-technology. Sketching and painting outdoors and seeing laboratory specimens have developed the left and right side of Yao’s brain – art and sensitivity, as well as rationality and knowledge, nurtured in equal parts. In addition to the education he received in nature, his upbringing took place in a historical background. Yao’s hometown had housed many educated youth being retrained in the rustic countryside during the Cultural Revolution. In the land famous for its black-soil culture, young people with a literary bent were inspired to create with passion. Functionality that feels familiar, user experience that delights, and forward-thinking visions can all come from good designs, but design also brings about cultural memory and a stirring of emotions. In the vast coldness of silver and black – prevalent colours for IT products - Lenovo’ s IdeaPad in bright red is a bold statement that catches the eye. Red is not an easy colour to deploy, especially in China where it brings forth complex layers of meanings, feelings and memories. “Every colour carries its own symbolic emotion and attitude. When you dare to choose red, it means you have a clear and firm attitude and you know what red stands for.” When Yao led the Lenovo design team in designing the 2008 Beijing Olympic Torch, they studied the use of red around the world, such as in Spain where it stands for passion and openness. Bright and warm, the colour invokes fire and is symbolic of the Olympic spirit and suggestive of hope for the future. The choice of colour must also apply to the environment. “The Olympic Torch could be seen in many different settings, from densely populated urban areas inundated with buildings to the scenic countryside; red is a colour that is the easiest to spot, so it becomes a focal point of movement and communications. A colour also concerns feelings. The colour red has its duality; we hope it symbolizes a positive and enthusiastic attitude. We choose red not only because it is China; our team is very international.” The Olympic Torch and limited editions of the Cloud-of-Promise notebooks reflecting the “Lenovo way” were auctioned to raise money for the Lenovo Hope Fund. This demonstrated in a very concrete way how a Chinese corporation, on the global stage, is fulfilling its sense of calling and its spirit of humanism. 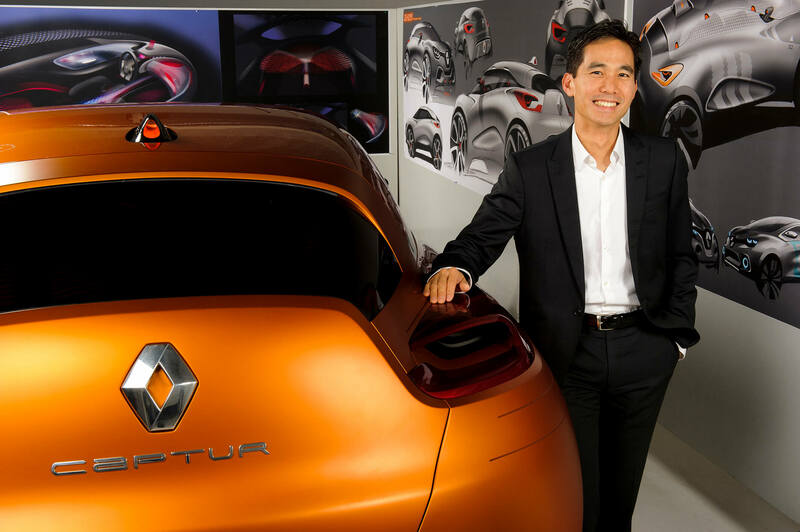 Anthony Lo’s passion for car design began very young. “I was fortunate to grow up in a design-conscious family where everyone appreciated style, fashion and image”, he says. For Lo, design strategy is a complex process that stretches all the way from initial benchmarking through conceptual and architectural phases to final execution. To be truly successful, designs must immediately “impact customers by showing them details and proportions they have never seen before” he says. Lo appreciates that proportion is constrained by technology and regularly switches from being a designer to a stylist because if “I conceptualise a new shape, it is also my responsibility to actualise it. Sometimes, compromise cannot be avoided but we must request changes.” He admits that while there are some regional commonalities, attitudes towards cars vary from country to country. Germans tend to be “focused on technology, execution and demand performance”, while the French are “more philosophical and prefer comfort, efficiency and a conceptual sense.” Lo’s over-riding ambition is have his creativity fully appreciated in China. Lo’s thoughts about recent trends such as driverless technology are especially illuminating. “As every car will have to integrate technology, it will still take a long time for such systems to be fully implemented. Interaction between cars will be the key. Many brands already have nascent technologies in place in the form of cameras and sensors for self parking and lane change alerts, etc. That said, cars capable of driving themselves at every stage of a journey are still a long way off though.” Lo predicts that the impact of such technologies will be more keenly felt internally rather than externally. “Designers like me will have total freedom. Cars will be safer! There will be dramatically fewer accidents because cars will talk to each other!” Externally, Lo says that everyone will still want design to express their individuality. In closing, Lo reminds us that even though humanity remains heavily reliant on technology, “It still takes up to 100 people to design a car, making it difficult for one person to make a mark. Jimmy Choo, this humble Hakka Chinese name is synonymous with a beautiful, elegant, classy, one of a kind, custom handmade, technically excellent designer extraordinaire shoe which espouses the truly feminine, soft, sultry, sensuous female form which all women covet passionately. The Jimmy Choo shoe is as much an engineering feat and an architectural construct as an exquisite design delight, hand beaded, hand stitched and hand personalized taking on its own female form whether as an evening slipper, a cocktail mule, a weekend sandal, a business pump or a seasonal boot. The Holy Grail of women’s shoe fashion apparel, it is the female iconic design form to which all others shoes aspire jealously. Beyonce’s “kicking it in my Jimmy’s” elevates the design from the pedestrian necessity to the contemporary haute couture must have. Timeless and enduring, the Jimmy Choo shoe epitomizes measured perfection, exactness and precision, and which Jimmy from his Malaysian family shoe making origins takes to cloudy heights beyond his Asian Chinese origins asan utilitarian and functional accoutrement to the piece de resistance of must have in ladies’ boudoirs, queen’s palaces, celebrities’ haunts and fashionista’s studios. But Jimmy is not all about shoes, rather Jimmysingle handedly leading the shoe design industry into new directions in the community with charitable initiatives and ateducation institutions with innovative design programs. Jimmy set the trend in the shoe design industry creating the limited edition Pink Ribbon shoe honouring The Breast Cancer Research Foundation. Jimmy Choo organised the Jimmy Choo Couture London Show to aid Malaysia’s Central Charitable Fund. Jimmy is also rightfully recognized for his design leadership. Queen Elizabeth of England awarded Jimmy the Order of the British Empire (OBE) for establishing London as the world’s fashion footwear designcenter. The De Montfort University in Leicester, England which offers the only Footwear Design degree course in the United Kingdom awarded Jimmy an Honorary Doctorate of Arts for mentoring its course and students. Ever the teacher, Jimmy preaches to students: “Work hard, respect others, and never give up”. But Jimmy’s most meaningful tribute is the Honorary Dato’, a state award bestowed by the Sultan of Pahang state in Malaysia for his tireless promotion of Malaysia and its fashion industry. There are, as well, his recent appointments as the Ambassador for Footwear Education at the London College of Fashion, the spokesperson for the British Council promoting British education to foreign students, and the Honorary President of the International School of Creative Arts. Closest to his heart, though, is his financial support for universities offering shoe design courses, and his student internships in his London workshop. But, this is more about Jimmy, the personality than his accolades. Jimmy, the eleven year old boy who made his first slippers for his mother knowing he would follow in his family’s shoemaking footsteps while watching his father make shoes “with his heart and his mind” and listening to him expound “it is not just about shoes and money, it is about being an artist”. Jimmy, thenon English speaking immigrant who came to London to carve his way through design school rigours struggling to meld body comfort and back structure with shoe balancing techniques, and to learnWestern style branding, marketing and publicity. Jimmy, the novice student who had to doubly prove himself to his demanding professors of whom he says fondly “were wonderful and helpful, they taught me design, how to sketch, use different machines” and how to draw, draft and make patterns combining creative inspiration and engineering innovation. Jimmy, the struggling cobbler who started his career making cheap sandals and selling them for £5 a pair in weekend markets. Jimmy, the entrepreneur who set up his first studio in London’s East End alongside other venturesome designers including Alexander McQueen. Jimmy, the good son who brought his family to London to assist him with the pressures of commissioned functions with deadlines. Jimmy, the novice designer who hit the fashion world like no other working to meet grueling client demands and fickle fashion guru whims and whimsies. Jimmy, the meticulous, patient craftsman who applies loving quality to ensure comfort while providing an personalized service covering careful foot measurements and a heartfelt customer discussion. Jimmy, the perfectionist who himself makes each individual last, insole and sole working with leather and materials, ensuring the shoe is correct and comfortable, and the person will wear it. Jimmy, the multi-millionaire “doesn’t want any more money” Tao Buddhist for whom “chi”, at the heart of his philosophy meditates daily and still considers himself a simple,old fashioned man who humbly states “I am still the same as I always was. I do not come from a rich family. We came from China. My father told me “work hard, and you can survive”. Jimmy, the Malaysian-Chinese who insists on patronizing Malaysian restaurants to partake in only mother country indigenous tropical herbs and fresh spices. Jimmy, the slight, quiet gentle man who in a simple dark suit, ordinary white polo shirt and plain black loafers remains demure andsoft spoken without the hint of designer’s bravura. Jimmy makes shoes predominantly for women. He believes his shoes must be “feminine, elegant, comfortable and balanced”. The Jimmy Choo shoe is “beautiful, stiletto high heeled and sleek” using carefully chosen materials, exquisite patterning and detailed accessorizing for his trademark stylish look. He emphasises he is “ahands on task master who loves what he is doing, loves the shoe, wakes every morning to talk to his shoe knowing it is like a religion, a belief in the shoe”. “Shoes say something about the way we hold our body. Shoes must be elegant, comfortable. Shoes affect the person’s personality. Support is how the shoe hugs the foot. When you put shoes on, the power comes through your body which changes. You have to bend, you have to step up, and you have to behave more refined. When you are wearing a pair of beautiful heels, you walk elegantly. I want my shoes to be gorgeous and comfy”. Jimmy believes creative success must be supported by branding, publicity’s power and maintaining strategic relationships with fashion titans and opinion leaders to keep abreast of fashion rhythms, to ensure strong brand identity and to maintain lasting allegiances. “I am accepted in Malaysia because of my overseas success. I needed to launch my business in Europe first, and then return with that success,” which is now recognized across Asia. He says to others encouragingly, “Who would have thought ten years ago Jimmy Choo, a Chinese name would have such worldwide luxury brand recognition”. Jimmy observes “Chinese buyers are good for European brands as they bring their products greater recognition in emerging markets.” Jimmy thinks an increasingly globalised world requires branding and publicity dedicated to these particular markets. Jimmy recognized this global trend with his own Designs for Asia couture business which targets customers in ethnically specific markets in India and China with a shoe to fit their own cultural milieu and with a shoe design that represents a relevant sensibility using patterned silk, jade, pearls, hand sewn buttons, animal motifs and auspicious linguistic characters. For more than 25 years, Eric Chan has been asking many tough questions. Forever considered the consummate designer, Chan spends much of his time pondering about humans and their behavior, trends, materials, and how these can be balanced to attain better design. His priority in thinking transcends fashion and aesthetics and rather examines how functions can be implemented to better compliment and enhance usage for a given product, service, or even an entire system (like public transport). Steadfast to his role as an industrial designer, Chan remains determined to know, with great certainty, how different individuals would use and react to a design. As a designer, he is constantly thinking about how we can ensure that the tools and knowledge we use adequately keeps pace with constant, rapid change. 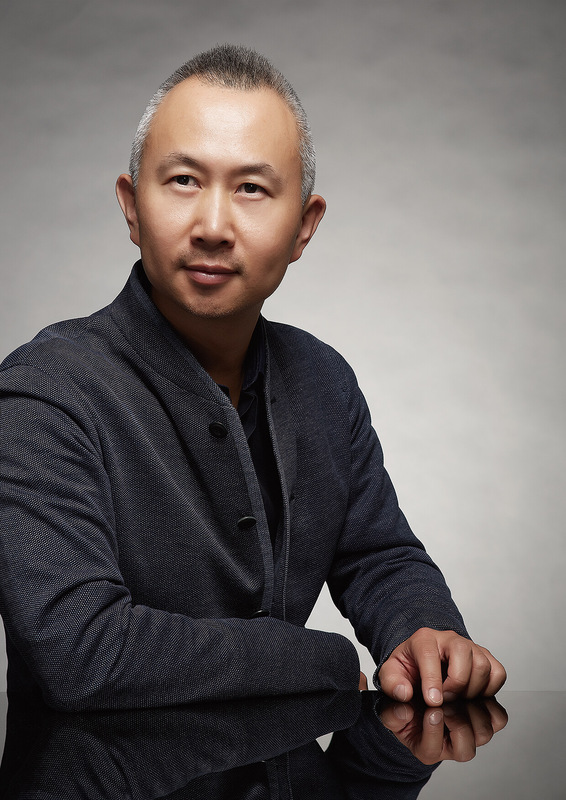 Through his own New York-based practise ECCO Design, established in 1989, Chan has helped a growing list of international clients improve what they do through principles of user-centric design. Fundamental to his tenet is the idea that designers should be intelligently responsible with mediating balance between people and products, business and community, technology and nature – and ultimately bring transformation to society. Born in Guangzhou, China, Chan was raised and educated in Hong Kong, where he graduated from Hong Kong Polytechnic University in 1976 with a degree in Industrial design. He then traveled to the US to study at Cranbrook Academy of Art, a school at the forefront of American design. Through the scholastic experience Chan was able to learn from and work with pioneers in the fields of product and ergonomic design, which has significantly influenced his professional practise and methodology. A practising inventor, Chan’s obsessions with life-enriching innovation has manifested in many contemplative efforts, earning him a number of patents. His consultancy, ECCO, is an established and widely revered firm best known for success in addressing the needs of multinational companies in every major consumer segment including Herman Miller, Virgin, Toyota, KEF, LG Electronics and Lenovo. With creations bounded only by the limits of his own imagination, Chan, who often incorporates groundbreaking – in one form or another – new ideas to his subjects, has designed more than a dozen bestselling chairs, mobile phones, CD players, washing machines a stapler, office furniture, in-vehicle interactive voice-command systems, refrigerators, headphones and numerous others. Of particular note has been his holistic work to re-imagine public transportation for New Jersey Transport’s multi-level railcar. The design philosophy behind ECCO looks beyond being style driven and iconic, to pursue opportunities that incorporate elements of social responsibility, ecological sensitivity, and cultural connectivity. It synergizes usability needs, innovation, insightful creativity, break-through engineering, and poetic interpretation in order to design meaningful products and experiences. Although pragmatic in his demeanor – upholding design as a tool of business and society – Chan’s work has nonetheless been featured in numerous international publications, as well as in the permanent collections of museums worldwide. These include: the London Design Museum, Musee des Arts Decoratifs de Montreal, The Israel Museum, the Museum Die Neue Sammlung in Germany, The Cooper-Hewitt, and The Museum of Modern Art in New York. ID Magazine named Chan as one of the 40 most influential designers in the US, while Business Week hailed him “One of the new breed of ingenious American designers that is making the world take note”. Contract Magazine conferred similar commendation in 2007 when he was listed amongst the ten most influential designers in the United States. In 2009, he was recognised for his achievement in designing the groundbreaking a Modular Hardware/Software Mobile Device for Bug Labs with a 2009 World Technology Award in Entertainment, edging out some world-renowned finalists from video-gaming, academia, and television. 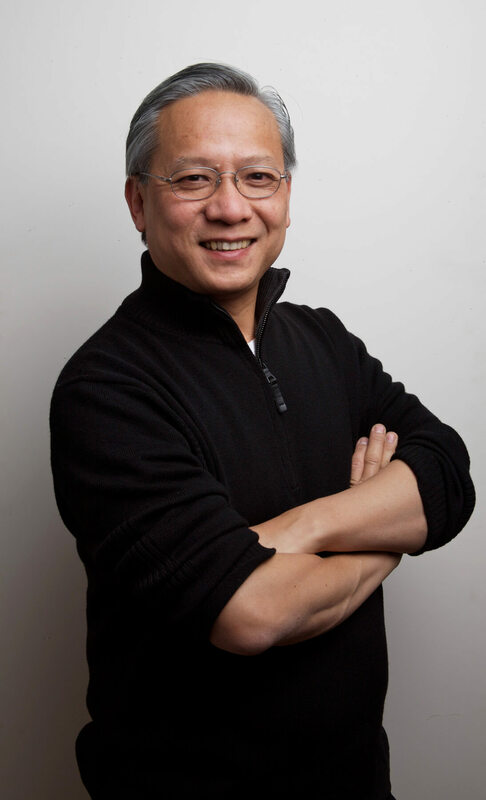 An active member of IDSA, Chan’s commitment to the design community includes serving as juror for Industrial Design Excellence Awards and CES Awards for Industrial Design. In recent years, he has focused his concerns on expanding the contemporary vocabulary of Chinese design. In 2007, Chan teamed up with Herman Miller to research and design a modern, ergonomically-sound armchair made from bamboo. Combining traditional craft with computerised techniques, the groundbreaking chair stirred Chan’s desire to probe further the means to heighten design from his native heritage, which now forms a crucial part of Chan’s strategies. Ma Ke graduated from the Suzhou Institute of Silk Textile Technology in 1992. In 1996, Ma established the brand of EXCEPTION de MIXMIND and assumed the role of Chief Designer. The 2005 Spring / Summer Collection was presented in public for the very first time in Beijing. Ma has received a number of significant awards in recognition of her talent and dedication to the fashion design industry. In 2006, she was named “Best International Chinese Fashion Designer of 2006” by Modern Weekly, and in the following year, named “Best Asian Fashion Designer” by ELLE Style Awards 2007 in Hong Kong. The introduction of WUYONG represented an important milestone for Ma Ke. In 2007, she was invited to attend Paris Fashion Week 2007 to present this new line of fashion. This collection also captured the attention of Golden Lion winner Jia Zhang-K, who directed a documentary featuring Ma and WUYONG, and it won Best Documentary Prize at the 64th Venice Film Festival. In 2008, Ma became the first Chinese designer invited to attend Paris Haute Couture Week ,during which she presented WUYONG to the French design community. WUYONG was then brought to London at the annual event “Fashion in Motion” curated by V&A Museum of London, and also at the “Design of the Year” exhibition by Design Museum in London. It was also nominated the 2007 Annual Design Award. Ma’s talent is also expressed beyond the fashion arena. 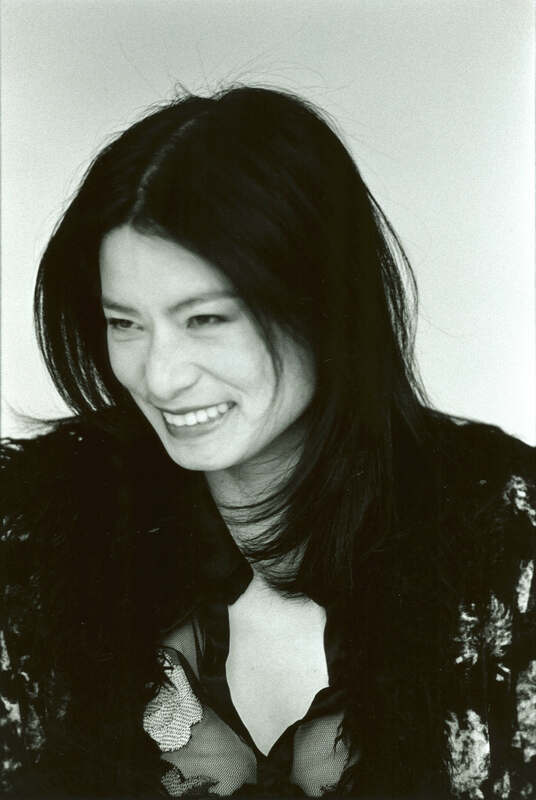 In 2004, she curated the book “Point One” which won the “Most Beautiful Book of China 2006” and was nominated “Most Beautiful Book of the World 2007” in Leipzig, Germany. “Point One” was also presented at the “2005 Shenzhen Biennale of Urbanism & Architecture Exhibition”. Ma was named one of the laureates of the annual Prince Claus Awards in the Netherlands in 2008, and invited to present on the ceremony in Amsterdam. Raman Hui has dedicated over twenty years of his life to the art of animation. As a director, supervising animator and character designer of animated feature films, he maintains the importance of observing life in all its visual and emotional majesty. For Hui, the aim to imaginatively re-create spontaneity of natural movements is what makes animation such a challenging, but wondrous art form. A painstaking respect for integrity of personality and behavior consistently underscores his talent to conceive universally relevant stories that are populated by casts of charismatic characters. Hui is a graphic design graduate of the Hong Kong Polytechnic University. His involvement with animation came through a chance discovery of the medium at the school, and would subsequently lead Hui to garner a Best Animation Award at the 1984 Hong Kong Independent Film Festival. Professionally, Hui began his animation career in Hong Kong at Quantum Studio where he worked as a traditional animator. Later, he moved to Canada to study computer animation at Sheridan College. 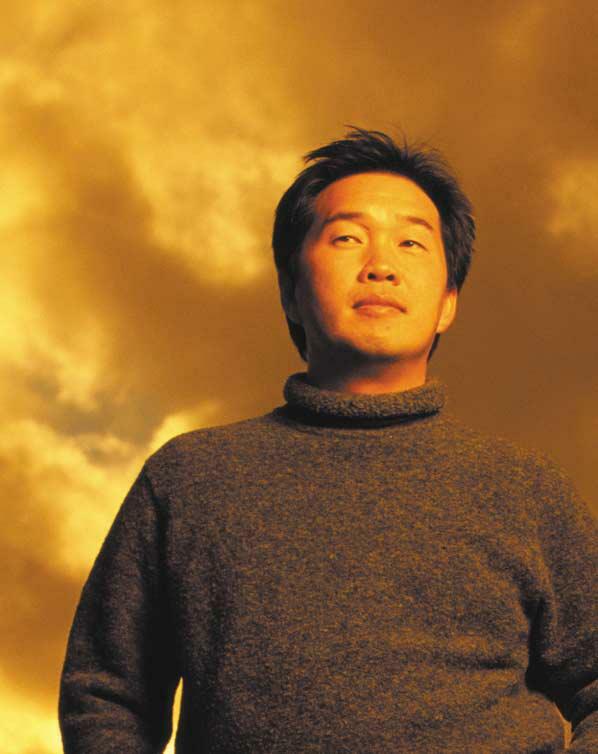 Since 1989, Hui has been a major force at PDI/DreamWorks, guiding the animation team from commercials and shorts to feature films. He started at the studio by working on various commercials and award-winning short films, which led to his position as Lead Character Designer/Supervising Animator on PDI/DreamWorks’ first full-length computer-animated feature film, Antz. Hui has also served as Supervising Animator on the Academy Award® winning blockbuster Shrek, the Universal Studios theme park attraction Shrek 4D, and Shrek 2, which would become the highest grossing animated film of all time. For a year he was Director of Animation on DreamWorks Television & NBC’s prime time animated comedy Father of the Pride. He completed his first co-directing debut on Shrek the Third and recently directed theKung Fu Panda animated short, Secrets of the Furious Five. 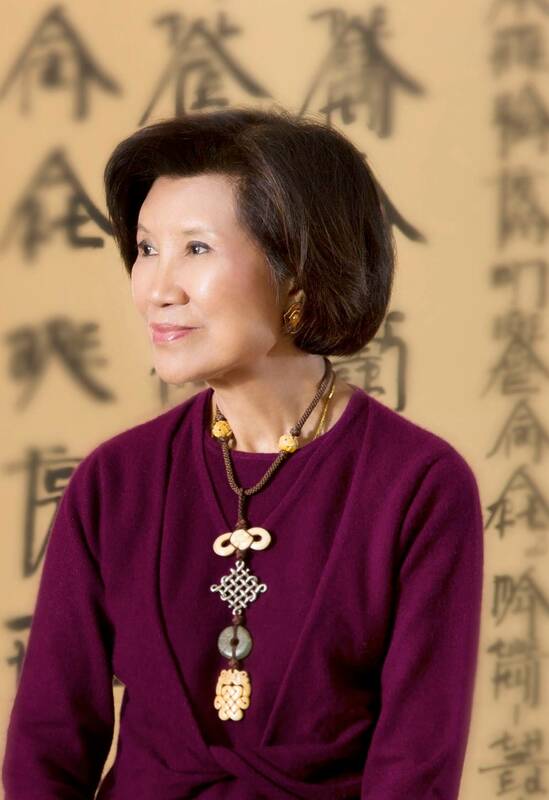 Kai-Yin Lo is recognized as a pioneer for bringing a contemporary and easy-to-wear style to traditional Chinese jewelry and for elevating semi-precious stones into a mainstay in jewelry design. A well-regarded expert on several fields of Chinese art and culture, she has edited four books ranging from Chinese furniture to the vernacular house and living environment. As a designer and historian, Lo has uniquely championed Chinese cultural heritage as a source of creative inspiration. Throughout her career, spanning over three decades, Lo has persistently maintained her own unique style by interpreting old forms in entirely contemporary terms. In 2005, Lo was honored alongside Cartier as one of three jewelers lauded for their "influence, style and excellence" by the Kennedy Center, Washington DC. Lo's creative designs have been sold at leading stores across the globe. Since 1992, she has organized and curated numerous important international art, culture, and lifestyle exhibitions and symposia. The annual Kai-Yin Lo Lecture at Asia Society, New York is widely regarded as a significant forum. 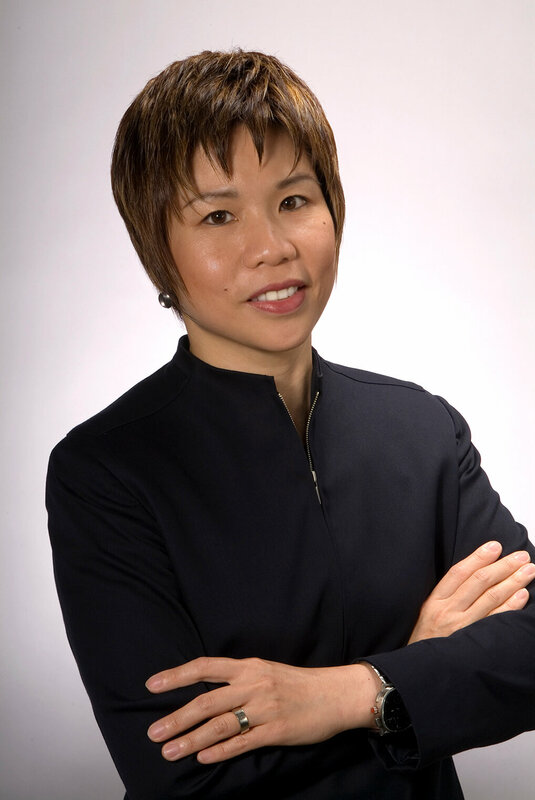 With 15 years in the automotive industry, Chelsia Lau, the Chief Designer of Ford Motor Company, is responsible for shaping the design direction of Ford's Sport Utility Vehicles. These include the Ford EcoSport, Explorer, Explorer Sport Trac, Expedition, Mercury Mountaineer, and Lincoln Navigator. Given her ability to juxtapose engineering and art within the automotive context, it is no surprise that this young designer has received many accolades and has been named by AutoWeek magazine as "one of the top ten secret people who will change your world". Born in Canton, Vivienne is a graduate of Hong Kong Polytechnic's Fashion Design Department. Vivienne's success as a designer of Asian background has been an example to young designers in Hong Kong and China. She feels that creative work also has social responsibilities. As such, she has been actively involved in many diverse charitable projects and lectured extensively. Vivienne won the prestigious Outstanding Women Entrepreneur Award in Hong Kong in 2005. In the same year, she was invited to speak at Fortune Global Forum in Beijing. The World's Outstanding Chinese Designer (WOCD) was presented to renowned designer Kan Tai-keung, BBS, whose design work was considered by the judges, to stand head and shoulders above the crowd. The form and technique of Kan's work is built on a deep respect for the Chinese heritage, but adapted for the modern context, making it relevant and emotionally powerful for all. An overview of the promotional and educational design projects conducted by Kan in Hong Kong, Macau, Taiwan, Singapore and especially in the Mainland, has shown his dedication to raising the bar for Chinese designers, and bringing Chinese design into the international arena. His work is set to have a powerful influence on future generations of designers; training as an apprentice and tailor before studying design, his achievements will be an inspiration to many young people. Copyright @ 2017 Hong Kong Design Centre. All rights reserved.